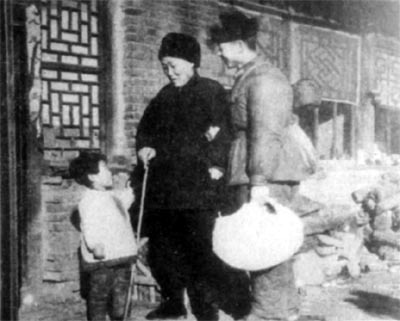 Lei Feng was a great Communist fighter and a model of serving people wholeheartedly. He was born in a poor peasant family in Wangcheng county, Hunan province and became an orphan at the age of 7. He cherished profound affection for the Communist Party of China, and joined the Young Pioneers of China and the Communist Youth League of China in succession. 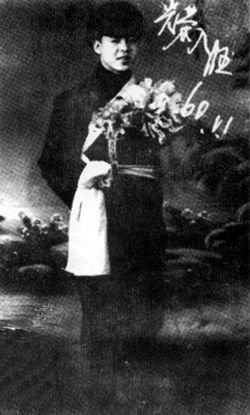 He was active in work and worked hard, thus wining series of titles such as "Red-Banner Pacesetter", "Work Model", "Labor Model", "Advanced Producer" and "Activist of Socialist Building". 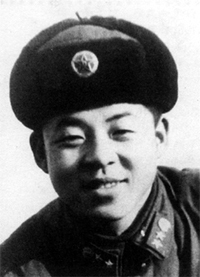 Lei Feng joined the army in January 1960 and joined the Communist Party of China in November 1960. He firmly fostered a thought to serve people wholeheartedly and set up a farsighted goal to devote to the Communist undertaking. He was loyal to the Party, the people, the country and the socialism. He studied hard Mao Zedong's works and scientific and cultural knowledge to enhance his ability to serve the people. He loved and dug into the work he did, thus making extraordinary achievements in ordinary positions. In the automobile company, he tried hard to learn driving skills and was qualified for a vehicle driver. After becoming a squad leader, he managed bravely and took the lead in everything, thus turning his squad into an advanced collective of the unit. He harbored a deep affection for the PLA and cared his comrades-in-arms and the general public, regarding "utter devotion to others without any thought of self" as the largest happiness in his life and striving for "inputting limited life into limitless service for people". He lived a simple life and often donated the money he saved up to disaster-stricken people and his comrades-in-arms with needy families. He was modest and prudent, not self-satisfied, not conceited when being praised, and anonymous when doing something good for others. 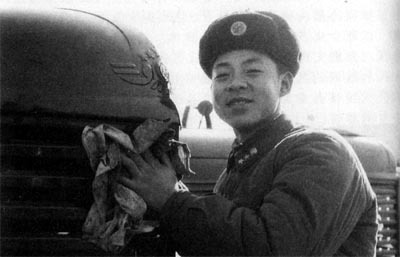 Lei Feng died of an accident in a transport duty in August 15, 1962. His model stories and lofty spirit had great influences in and out of the army. Therefore, the Ministry of National Defense named the squad he served for as "Lei Feng Squad". Mao Zedong called to "Learn From Comrade Lei Feng" on March 5, 1963. Jiang Zemin and other leaders of the country inscribed for him on March 5, 1990, for the sake of calling people nationwide to further learn from Lei Feng, carry forward the Lei Feng Spirit, and strive to build a socialist society with Chinese characteristics. In the extensive and long-lasting activities of learning from Lei Feng, many heroic models of Lei Feng-like have mushroomed in the country. The Lei Feng Spirit has fostered people of generation and generation.